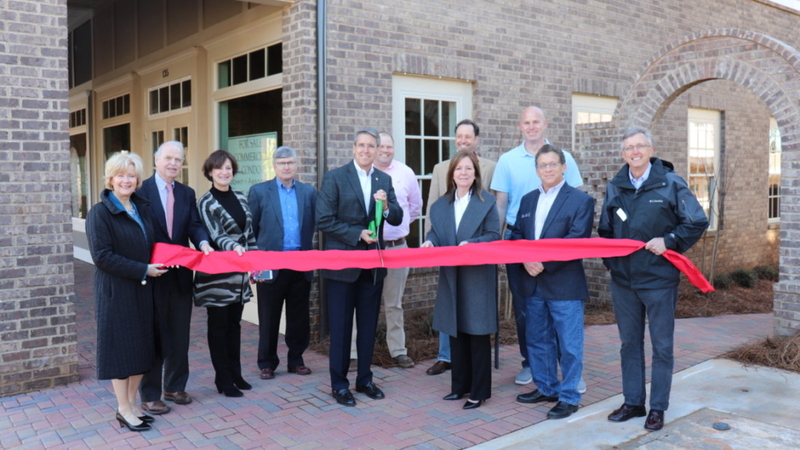 ROSWELL, GA, March 22, 2018 – Roswell celebrates the opening of Roswell Court, a newly completed project blending luxury homes, neighborhood office and quiet retail. At the corner of Norcross and Forrest Streets, it’s less than ½ mile from Canton Street, and well within walking distance to all the festivals, shops and dining of Historic Roswell. Convenient access to GA 400 is just 2 miles away. JW Collection, John Wieland’s boutique brand, partnered with Schmit + Associates to create Roswell Court. “This neighborhood setting is unique, walkable and right where you want to be with detailed homes that sacrifice nothing in sophistication or style,” commented John Wieland. The Historic District is undergoing redevelopment with the recent opening of 2 breweries, a planned distillery, a planned hotel, library renovation and other new projects. The nearby Roswell Plaza Shopping Center was purchased by the city and will be undergoing redevelopment as a mixed-use concept. There are few other office condo units that can be purchased in the area.